The Channel Tunnel provides a fast, frequent and reliable route accounting for €138 bn of trade and 21 million passengers each year. It has changed the way transport and logistics operate across the continent. Since opening in 1994, the world of manufacturing has been transformed: continent wide logistics, integrated supply chains, components moving across several borders, products sold across member states without tariffs. Goods are not subject to customs delays, whilst drivers and passengers breeze through the borders. With just-in-time and just-in-sequence production being the norm, food and drink is delivered fresh any time of the day or night to meet consumer needs. Express deliveries are available for on-line shoppers within 24 hours; medical treatments can be prepared one side and delivered on the other the same day; tourists and business people benefit from fast and frequent travel options. But what is the absolute value of this transport link to specific industrial sectors and individual countries? EY Economic Advisory have recently completed the second of a two-part research project looking at the Economic Footprint of the Channel Tunnel and its importance to the key industrial sectors and regions in the EU. The report measures the economic value of the Tunnel's speed, frequency and reliability. - How important is a high-speed, high-frequency transport link to the EU’s supply chains and current industrial model? - Which sectors of the economy benefit most from the Channel Tunnel and what would be the impact from a reduction in the facilities provided by the Tunnel? 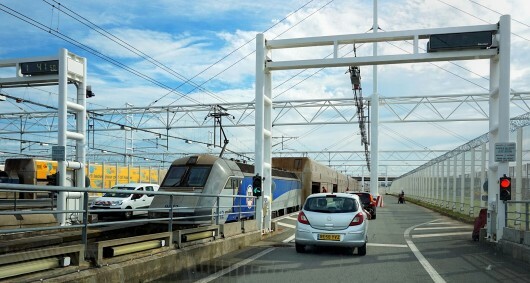 - Which countries depend most on the Channel Tunnel for their trade and tourism and what would be the impact of removing the facility of speed and frequency of transport? - How can we ensure that the benefits of time gained through the Channel Tunnel can be maintained post-Brexit for trade and tourism?